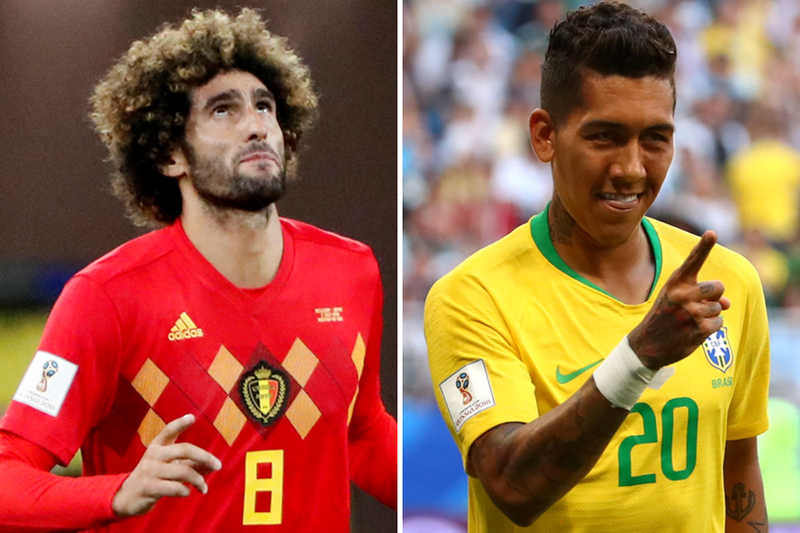 Marouane Fellaini and Roberto Firmino both came off the bench to score and help lead their respective countries into the quarter-finals of the 2018 FIFA World Cup. Belgium were trailing 2-0 to Japan when Jan Vertonghen brought them back into the match, the Tottenham Hotspur defender finding the net with a looping header in the 69th minute. Fellaini, who last week signed a new deal at Manchester United, was brought on by Roberto Martinez and headed Belgium level from Eden Hazard’s cross only five minutes after Vertonghen’s goal. Belgium sealed their fightback in stoppage time as Manchester City’s Kevin De Bruyne led a counter-attack that also featured a superb Romelu Lukaku dummy, which set up West Bromwich Albion’s Nacer Chadli to score the winner. Belgium will face Brazil in the last eight. Firmino, the Liverpool forward, sealed the victory for Brazil with the second goal in a 2-0 win over Mexico. The opening goal had been created by a run and cross from Chelsea’s Willian that Neymar converted.